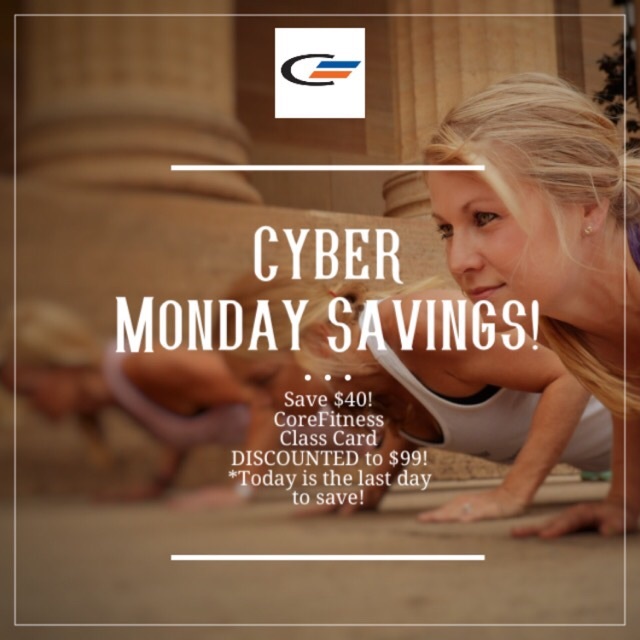 Because YOU deserve a CoreFitness Cyber Monday Deal! Take $40 OFF our 10 Class Card! 10 Classes for $99 ends Sunday, November 26th at midnight! Class Cards are valid for indoor and outdoor boot camp, 12 Days of CoreFitness, Jingle Bell Boot Camp, Yoga and Pop-Ups classes! 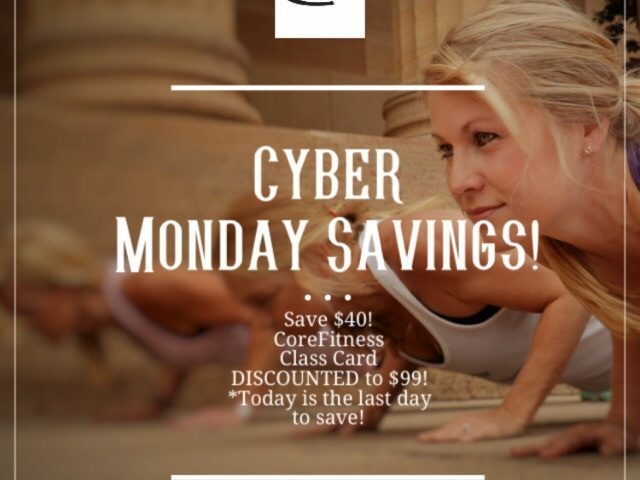 12 Days of CoreFitness Kicks Off Monday, December 11th!